Javier Sordo Madaleno de Haro, as the third generation of architects in the family, has good taste and innate skill in architectural design running in his blood. Over years of work and experience, he has developed a wide-ranging capacity for coordinating large-scale projects, as well as a strong ability to manage different teams. Managing strategy, programming and resource allocation is part of his daily work as Architecture Director at Sordo Madaleno Arquitectos. 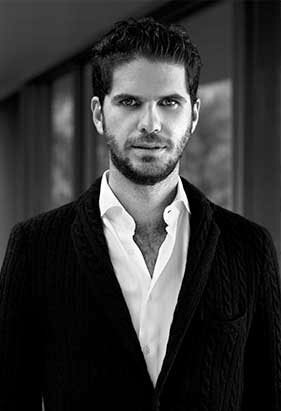 He was born in Mexico City in 1985 and studied his degree in Architecture at the Iberoamericana University (2003-2008). He joined Sordo Madaleno Arquitectos in 2005 as Junior Architect, under the training and supervision of his father Javier Sordo Madaleno Bringas. During this initial stage, he worked on numerous projects, including Andares, a large-scale mixed-use project in Guadalajara, Jalisco. Having confronted numerous high-level architectural challenges, in 2008 he became Project Leader. Thanks to his leadership abilities, communication skills, and management strategy, in 2010 Javier Sordo Madaleno Bringas passed on the baton as Architecture Director of Sordo Madaleno Arquitectos, to lead up the group in the areas of design and administrative management. Grand Hyatt Playa del Carmen and Amelia Tulum (winner project in the category “Residential for Future Projects” at WAF Awards 2018) in Quintana Roo, Hyatt Regency Andares, Andares Corporate Building, Midtown and The Landmark in Guadalajara, Solaz in Los Cabos, Sohl in Monterrey, Parque Toreo, Artesia, Ruben Darío 255, Origina and Artz Pedregal in Mexico City. As well the largest mixed-use development in Mexico with the tallest tower in Latin America: Reforma Colón. His passion for architecture and design is reflected in his commitment and the time he invests in these projects: in their attention to detail, in the excellent relationships he establishes with each client, and in the warmth, he shows towards the team under his charge. All these qualities have made him an excellent leader, capable of upholding and growing the responsibility that Sordo Madaleno Arquitectos has maintained for almost 80 years, since it was established by his grandfather, Juan Sordo Madaleno, in 1937.